Spring is the time where your pond comes back to life after the dormancy of the winter months. 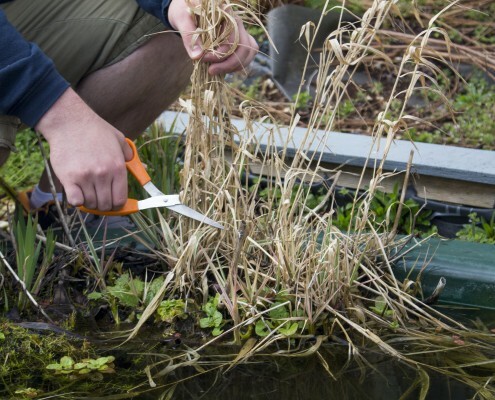 Not only is your pond enjoying the warmer weather, but it is likely that you are too, so starting to make sure your pond is looking beautiful and healthy is important when you start spending more time in the garden. Your fish will begin to become more active as temperatures begin to rise. After the relative hibernation of winter, fish can become weakened and it is important to support them by supplying the best possible water conditions. 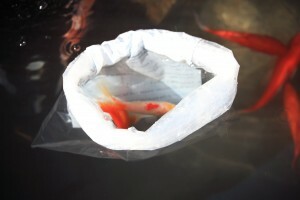 Start by reigniting the effectiveness of your biological filter by using products that host good bacteria and enzyme cultures like Bio Start and Brilliant Pond Tablets.We would also suggest using a treatment of Stress Away and adding Pond Guardian Pond Salt to support your fish’s immune system as disease organism populations can respond more quickly than the fish to increasing water temperatures. 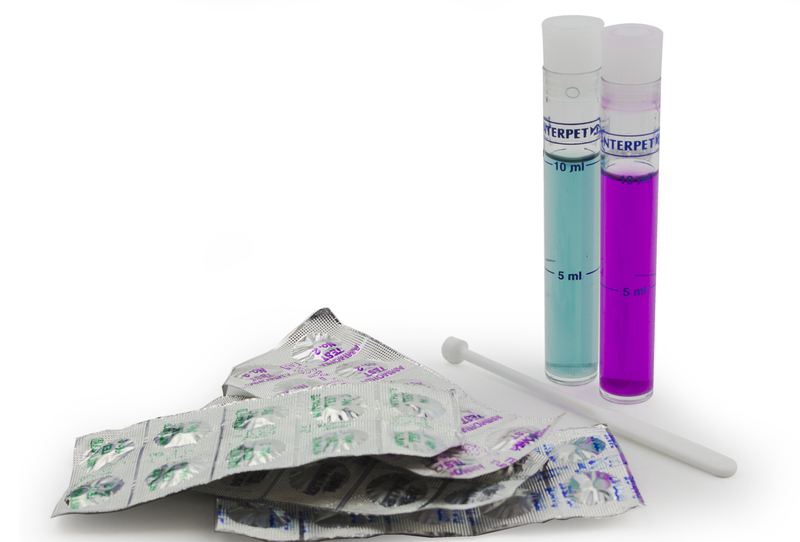 If you notice any abnormal fish behaviour such as clamped fins, flicking or symptoms of disease, treat the problem promptly but also test your water to see if there is an underlying water quality issue. 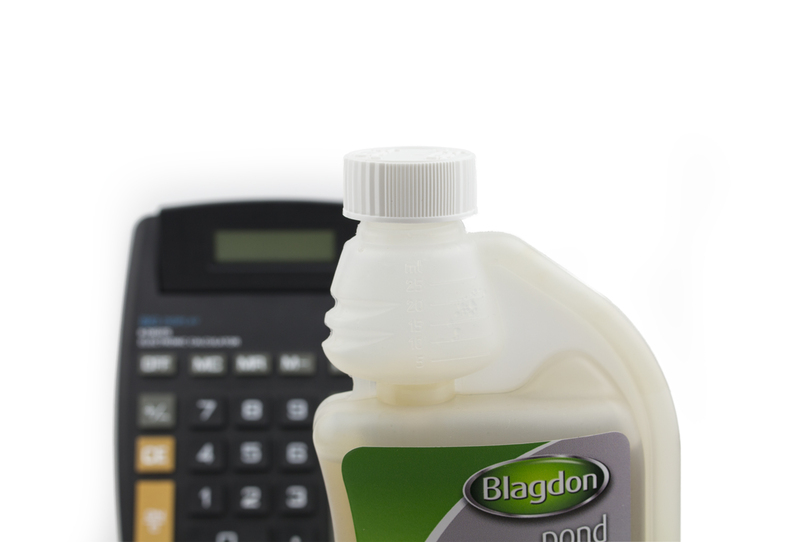 As the pond temperatures begin to rise over 10oc you can start feeding your fish regularly again with good quality and easily digestible pond food. It can be hard to work out how much food your fish need, as a guideline give them as much as they can eat in about 5 minutes. If food is remaining after 5 minutes, remove it from the pond with a net. Cut back the previous year’s growth early in March/April when new growth begins to appear. 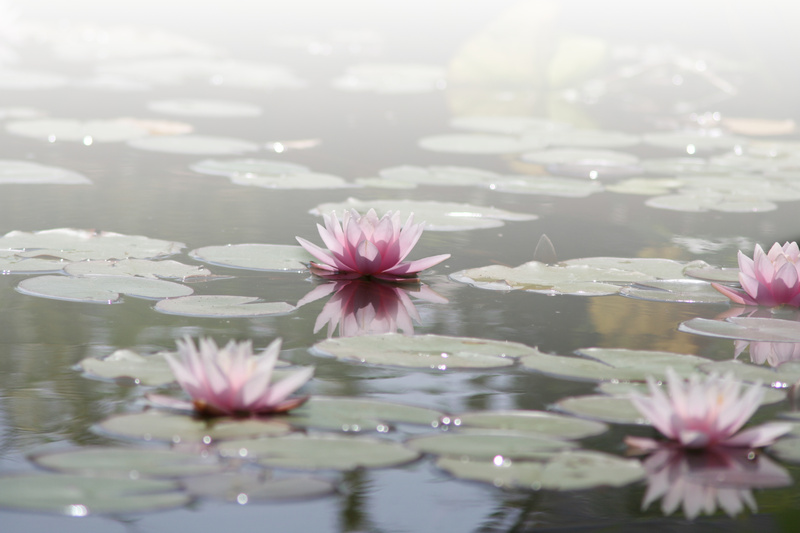 Start feeding with a good quality plant food, this is especially important for successful water lilies. Plant foods like Flora Boost are specially formulated as low nitrate and low phosphate which will encourage healthy plant growth but limit algae blooms and green water problems. Spring is also the time to introduce new plants to the pond, as this will give them time to establish in time for summer. Divide and re pot overgrown marginal plants to encourage variety and seasonal interest. 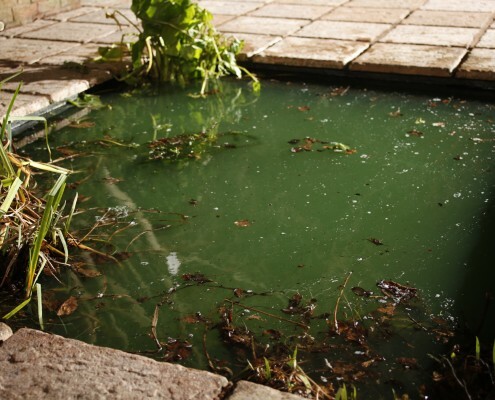 The increase in light and nutrients in your pond in Spring can often lead to an algae bloom or green water problems. Now is a good time to replace your UV lamp or add a UV to your pond to eliminate green water issues. Ensure all dead leaves and plant matter is removed as the rising temperature will speed up their decay. Thoroughly clean your biological filter media in pond water and rinse or replace mechanical media such as: polymer wool and open cell foam. Summer is when your pond should be at its best with lush plant growth, happy, active fish and lots of wildlife making it a wonderful area in the garden for you to enjoy. Your fish will be at their most active in the summer months as the water temperature is higher. As temperatures rise make sure your fish are getting sufficient oxygen, if oxygen is lacking you will notice the fish gathering near water flow areas or gasping at the surface as this is where oxygen levels are at their highest. 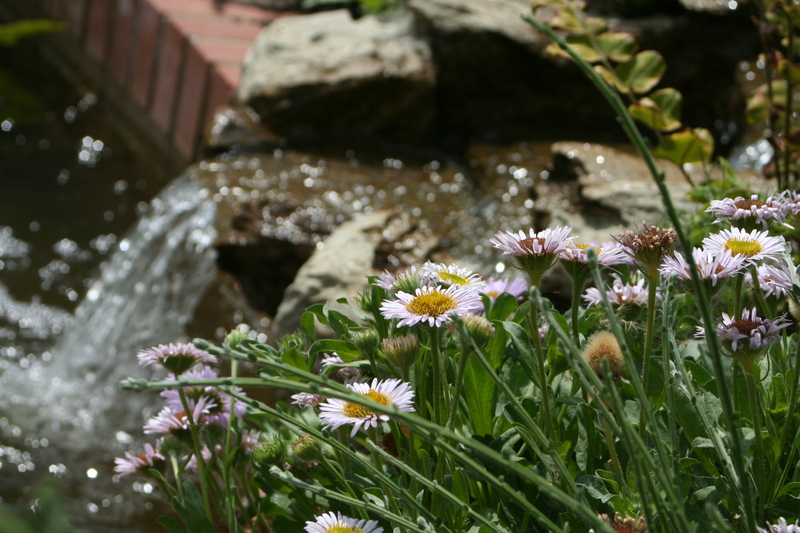 Increase oxygen levels by encouraging water flow at the surface of the pond with fountains, waterfalls or moving filter outlets to above the surface. Additionally, consider introducing an air pump and air stone to the environment to provide extra surface agitation – this is particularly important on those hot close thundery days. Summer is the best time to introduce new fish as your biological filtration is matured – however do not overstock your pond as this will increase the chance of fish health problems (see how many fish can I have in my pond?). Introducing now will also give the fish time to gain strength and adjust to a new outdoor environment before the winter. Continue to feed plants regularly to encourage healthy plant growth. Cut back dead leaves to stop them contaminating the water. Encouraging plant growth will also increase surface cover which will prevent blooms of algae like Blanket Weed and green water algae. Add floating plants like water hyacinth, water soldiers, water chestnut and water lettuce to increase shading and rapidly remove excess nutrients (and they’re pretty). Regularly maintain your filters and pumps monthly or as the flow reduces indicating maintenance is required, cleaning/replacing foams and removing blockages to keep water clarity and a healthy environment. 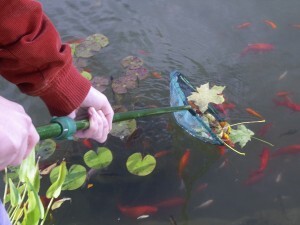 Autumn is the time to start preparing your pond for Winter making sure your fish stay healthy over the colder months. Fish should be prepared for Winter by feeding them with a high quality food. As the temperature drops, below 10oc you should stop feeding your fish. Treat the pond with Pond Guardian Tonic salt to support the fish as the temperature drops and reduces the freezing point of water. Cease feeding plants. 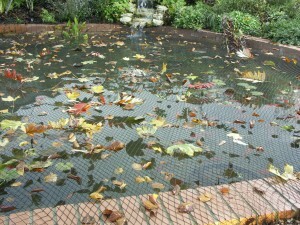 As the trees surrounding your pond begin to lose their leaves, it is important to stop them polluting the pond water this is best done by using a cover net to keep them out or alternatively remove them manually every day. Net out half hardy/non frost resistant floating plants which are unlikely to survive the winter. Give your pond a good tidy up, removing sludge from the bottom or planting shelves using a pond vacuum. Make sure filters and pumps are running well and use treatments like Sludge Buster or Brilliant Pond Tablets to put healthy bacteria into the pond to help with processing waste. Add an energy efficient heater like a Blagdon Affinity Ice Vent to prevent freezing. When temperatures drop below 4oC in winter, warm water sinks so the bottom of the pond becomes the warmest place where the fish tend to gather. To prevent mixing the cold surface layers and lowering the overall pond temperature reduce pump flow rates and move them to a shelf within the top 30cms (12 inches) of water in Autumn. Winter is the time where your pond is at its quietest but it is important to still pay attention to the pond regularly to keep your fish healthy. Generally, pond fish do not need feeding in the winter, unless there is a long mild period where water temperature rise consistently above 10 oC. 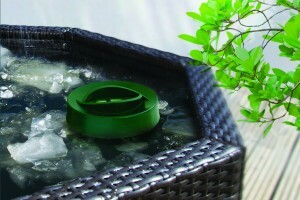 Ensure there is sufficient oxygen in the pond by ensuring the pond is never fully frozen over by using an energy efficient heater like an Affinity Ice Vent this is much more successful and convenient than the old trick of using a tennis ball or hot water to retain an ice free area, which are in reality only short term solutions. NEVER break the ice on your pond with something like a hammer as the shock waves may kill the fish. Continue to remove dead plant matter from the water to prevent pollution. When the surface of the pond is frozen, leave the pump running for circulation but turn off fountains and waterfalls to prevent the pond emptying.